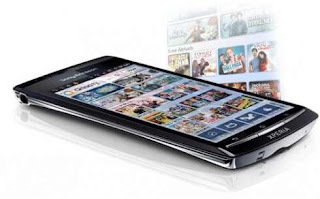 Sony Ericsson will provide mobile video services streming in particular in August. With this service, mobile users will be able to see Sony's content from a variety of channels including NBC, Sony Pictures, Warner Bros. and others. To be able to enjoy this streaming video service, users must download nokia mobile phone application called Qriocity Video. As a first step, Sony chose Xperia Mini and Mini Pro as a means to utilize this service. For Xperia Arc, Neo, Play, Pro, and ACRO will be provided later by Sony. Meanwhile for Xperia Xperia active and Ray will automatically have this application at launch later. But for now Sony just choose the nine countries that can support these services, namely Britain, France, Germany, Spain, Italy, Australia, Japan, Canada and America. But Sony explains about the content provided will be different for each place.